DATE & TIME: 10:15 for 10:30 on Saturday 25th February 2017. 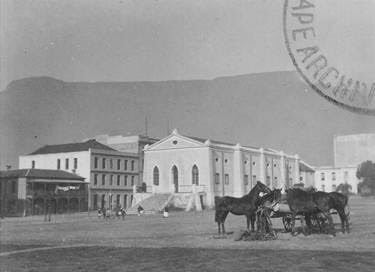 We will meet on Riebeeck Square on the corner of Shortmarket and Bree Street from where we will be looking at the historical fabric on and surrounding the square. This will give a valuable insight into the impact that the proposed development on Buitengracht will have on this precinct. As part of our tour we will also be looking at the portion to the north of Riebeeck Square which is known as Heritage Square. This block was restored under the aegis of, amongst others, the late David van den Heever, an active member and former Chair of the Vernacs. 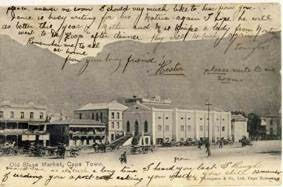 In the 1860’s it was re-named Riebeeck Square in honour of the Dutch commander of the VOC settlement of the Cape. By this time, too, it had become much smaller and, to prevent any further encroachments, it was proclaimed as a national monument on l7th February 1961.